Click on image to buy film! Surprise! 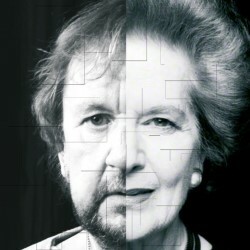 I have just seen The Iron Lady – and enjoyed it! We drove through moonlit French countryside to arrive at a cinema in a small rural town – not a “hoodie” in sight! Inside it seemed everyone was English but there may have been a French person or too (apart from my wife). Not many of us – the local town supports the cinema and shuts down during the long summer months! So very relaxed. Most striking was the truly amazing acting by Meryl Streep – both as the Thatcher in power and the Maggie who suffers with, I presume, a form of Alzheimer’s…What was really interesting (and confounding) was that Thatcher is the heroine of the film – set against either the weak, snobbish Tories or the populace “rabble” or the IRA or the “Argies” (bien sur); I felt like I was watching a recruiting sergeant for Thatcherism. Some of her speeches and ability to quote poets was spot on (and to be applauded if accurate)! So…I went in VERY anti – but came away less ardent! I imagine many of you would consider that impossible…Thus is the power of cinema…And so – I heartily recommend – I thought I’d be bored – but I was riveted! There was an element of “nostalgia” too I confess…it felt as if those of us who experienced this history were in some way part of the film. Its very nature meant that this history passed quickly and may have seemed slightly glib – but the focus of the film was always the lady herself…I heard later of someone going to see it and overhearing a couple say how it (the film) was her comeuppance and how demeaning it must be. My thoughts were quite the opposite. Her relationship with Dennis (even when she “imagines” him) is very touching. Oft referred to as a “monster” (I have seen this recently on a casual posting on Facebook) – it’s her very humanity that comes across. Interesting. I suppose we’re not used to Maggie having any “good press”, so the shock of this film is for us to look anew, perhaps, at her role in British politics. I was also struck by the debate on the Falklands – and as trouble potentially rears its head again we are forced to consider what action is correct. To defend “freedom” or the “rights of the islanders” is it worth those killed or maimed? This hard decision earned Maggie renewed popularity. Strange how we vacillate isn’t it? So go and see if you can, or buy the DVD – you might be surprised by your reaction! 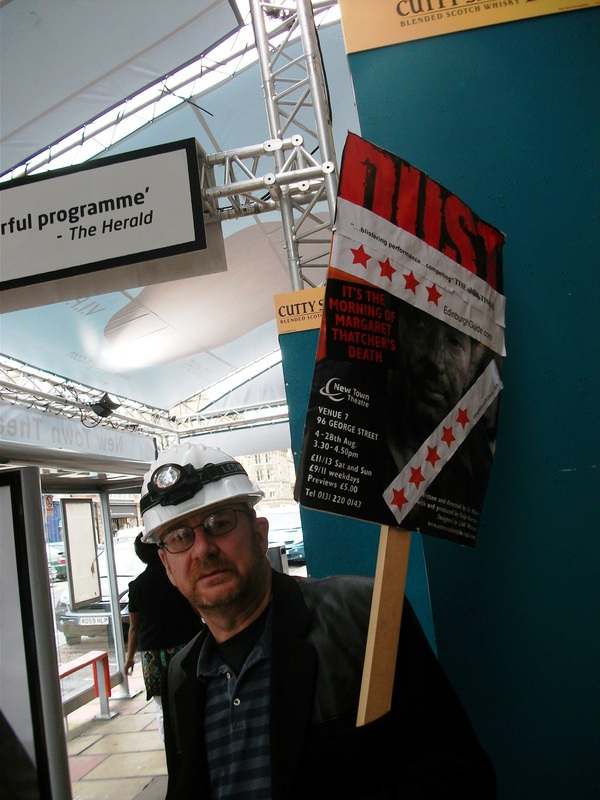 Dust poster carrying CounterCulture UK ***** star verdict. NOTHING divided British society in the mid-1980s more than the bitter Coal mineworkers’ strike of 1984. As in 1926, a confrontation between a charismatic leader of the miners’ union and the elected government, brought poverty and misery to dozens of mining communities all overBritain. Margaret Thatcher, who became Prime Minister in 1979, was determined to break the power of the miners’ union which had forced a previous Conservative government out of office in 1974. Ironically, the Miners’ union played a part in bringing Thatcher to power when she succeeded Ted Heath as Tory leader after his electoral defeat in 1974. She determined to break the power of the miners and their famous ‘flying pickets’. Scargill echoes another Arthur, AJ Cook who led the miners to defeat in the 1926 general strike with the famous slogan, ‘Not a minute on the day, not a penny off the pay’. Cook, a former Baptist preacher, died at the age of 47 in 1931. This is the background to Ade Morris’s play. Arthur (Michael Strobel) and his publisher Barbara (Lucinda Curtis) are discussing his forthcoming biography of his hero AJ Cook when news breaks that his old nemesis, Margaret Thatcher, has died. Arthur is expecting a visit from Lawrence, one of his old militant flying pickets. InDoncaster, Chris (John Sackville), a retrained former miner tells his wife Maggie (Alice Bernard) that he is facing redundancy from his health care job. At times witty and at other times deeply moving, the play probes the depths of each character’s soul. Strobil’s Scargill is convinced that he was absolutely right and that history has vindicated him. Other characters illustrate the human cost of the miners’ struggle. Simple staging means that a lot more rests on the actors to project the right image and not distract the audience. This experienced cast carry this task off easily. John Sackville stood out. With a change of coat, stance and accent he switched from a preaching, revivalist-style Welsh miners’ leader to a defeated, downcast ex-miner fromDoncasterand back again. If you’re looking for an agitprop hagiography of Arthur Scargill as champion of the working classes, you’ll be disappointed. This is Arthur Scargill and the miners strike, warts and all.